Hello from the RHDJapan blog. 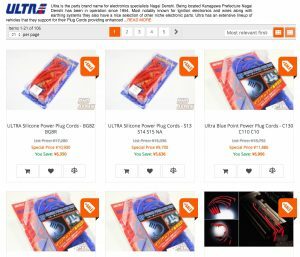 We have received a heads up about a price increase on the whole lineup of Silicon Power and Blue Point Plug Cable from ULTRA starting from December. This is a heads up and extra incentive to put in the order before the price change. RHDJapan will be extending an additional 6% discount on the whole ULTRA lineup for the rest of the month.